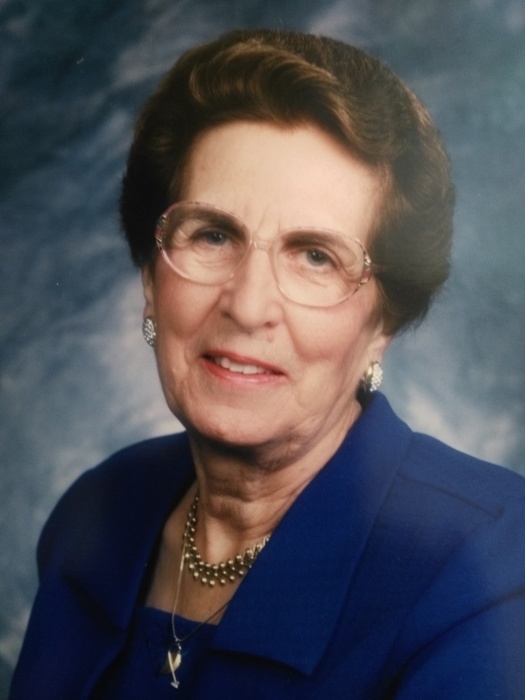 Peacefully on Sunday, June 17th, 2018, Alice Green passed away at the Douglas Campbell Lodge in Portage la Prairie at the age of 96 years. Alice was born in the Municipality of North Norfolk on August 5, 1921 to Tom and Annie Towle along with 8 other siblings. Alice married Cecil Green in 1945. They had two sons, Ronald and Barry. They lived on the family farm north of Portage la Prairie before moving to their home on 16th St. NW in the early 1960’s. Alice was predeceased by her husband Cecil, her parents Tom and Annie Towle, brothers Percy and Russell, sister Evelyn Campbell, son Barry and great granddaughter Chelsea. Left to remember Alice are her son Ron (Linda), grandchildren; Nancy (Don), Allison (Marc), Tannis (Sheldon), daughter-in-law Gladys and grandchildren; Vince (Sherry), Bonnie, Chad (Amanda), brothers Cecil and David (Millie) of B.C., Donald of Ontario, Leslie and Arnold (Marlene) of Portage la Prairie, sister-in-law Ferne Green, special niece Joan (Rick) Bowser and nephew Jerry Towle who Alice helped raise; great grandchildren; Kali, Madison, Brady Lambert, Ainsley and Sophie Chapellaz, Donovan, Shelby and Mackenzie Brown, Matthew and Marisa Green, Bradley and Abigail Lambert, Bailey, Daylen, Connor and Shawn Green. Along with many nieces and nephews who all held a special place in her heart. Many thanks are extended to Douglas Campbell Lodge staff for the care and attention Alice received during her stay there. Also, thank you to the PDGH emergency and surgical staff for their recent care and palliative care nurse Debbie Janzen for her guidance. “It’s the circle of friends of life, and it moves us all, through despair and hope, through faith and love, “till we find our place, on the path unwinding.” from The Lion King. Visitation for Alice to be held on Wednesday, June 20th, 2018 from 7:00 p.m. to 8:00 p.m. at Omega Funeral Home, 83 Royal Road S., Portage la Prairie. Funeral service will be held on Thursday, June 21st, 2018 at 1:30 p.m. at Omega Funeral Home. Interment to follow at Hillside Cemetery.